For a while now, buzz words like automation, artificial intelligence or bots have invaded our news feeds. There is a sense of uncertainty that pervades conversations about the future labour market and that comes with many questions. What will happen with my job? Will a robot replace me? What I am supposed to know, to learn, to remain relevant in my field of work? We felt that the Romanian HR community might have some answers, as HR professionals are among the main curators of the talent market. 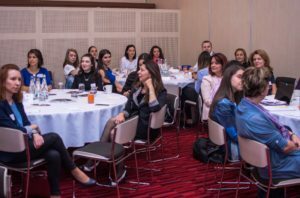 For the fourth edition of the Business Summit for HR held in Bucharest, Romania (4th October 2018) we invited HR and business leaders alike to share with us their views and solutions regarding the world of work in 2030, with focus on the future of skills and employment. The result was a rich conversation between professionals who change the game in their field and have the ability to foresee and transform the future. 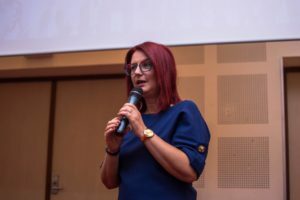 Roxana Mocanu, Chief Game Changer Noosfera and the host of the event opened the day with a summary of 2030 forecasts and provided context for the conversation. 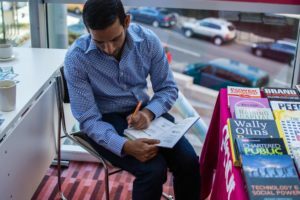 Up to 375 million workers might need to switch occupational sector by 2030 with some of the highest demand being in health care, educational, tech and creative sectors. The role of HR in this context is to foster the human element in organisations, to be a companion of employees by supporting their professional development and fine-tuning it to business objectives. In this sense we learned about concrete projects from HR leaders in diverse organisations. 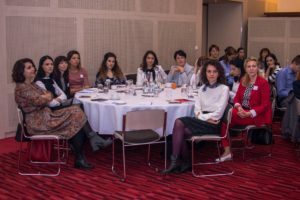 Our guest speakers came from both not for profit (CIPD, Ashoka Romania, Kleine Schule) and corporate sectors, in banking (BRD Societe Generale, OTP Bank), consultancy (KPMG Romania), telecom (Anritsu Romania), debt collection (APS Romania). And the insights were a plenty. For Sorin Voicu (BRD Societe Generale) and Mihnea Spătaru (APS Romania) a good preparation for the future begins with investing in university students, supporting them to kick-start their career through tailor-made trainings, company visits, mentoring, internship, career counselling. All of this backed by a coherent and business-aligned Employer Branding and Learning & Development strategy. 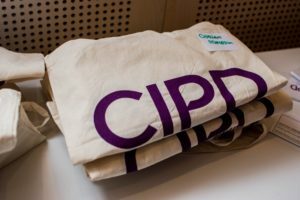 A highlight of the Business Summit for HR was celebrating this year’s CIPD students that completed their study with Noosfera in a special ceremony officiated by CIPD’s Ciprian Arhire. It was a real joy to witness the Game Changers cohort – professionals who proved their mastery in the art of learning and business conversations with an impact, dedicated to investing in their professional future. 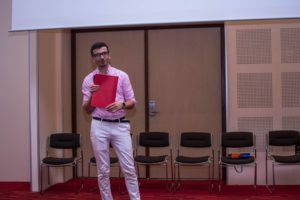 Not only was Ciprian the master of ceremonies, but he also offered Noosfera’s HR community the privilege to be the first to learn about the new CIPD international standard for the people profession, ahead of the official launch, at the CIPD annual conference that takes place in November. We are looking forward to exploring it in more detail. 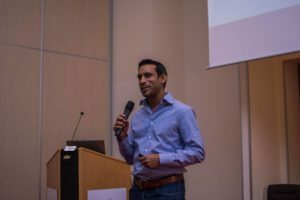 A novel contribution came from Steven D’Souza, co-author of the bestseller “Not Knowing: The Art of Turning Uncertainty into Opportunity”. Steven encouraged us to try and experience “The Power of Not Knowing”: hold on to what we know (knowledge and experience), but in the same time make space for curiosity and questions. The conference ended on an interactive note, in the form of a panel. 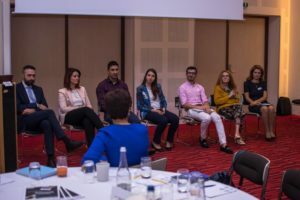 The conversation focused on the challenges brought by automation, reskilling, and the role of HR leaders in supporting employees to build their own career path, taking into account the uncertainty of the future. At the end of the day, we cannot know entirely what the future has in store for us, but there is a good energy coming from the HR community, who is making steps in actively seeking solutions to make work more attractive, but also to bring roles closer to the people, with the direct involvement of HR leaders who thus become change ambassadors. Noosfera (HR Enterprise Balkan) has been a CIPD Award centre in Romania for 12 years, promoting the CIPD standard and values and fostering an HR learning community of over 1500 professionals. Tu cate parfumuri ai pe etajera? How will the new Profession Map help you make an impact in the next decade?